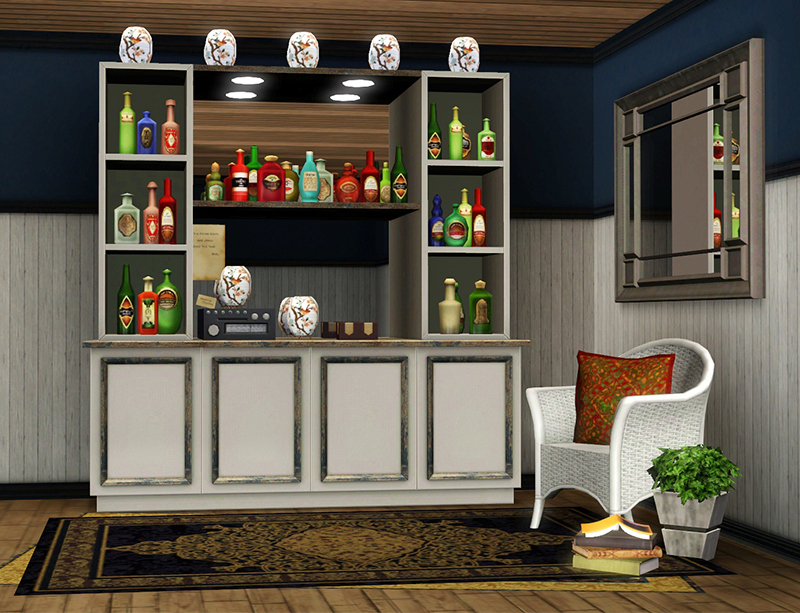 Top Shelf Bar Shelving now functions as an expensive nectar rack. New geometry has been added to the original EA mesh in order to support geostates, such that the model varies to reflect the fullness of the rack, like EA's nectar racks. 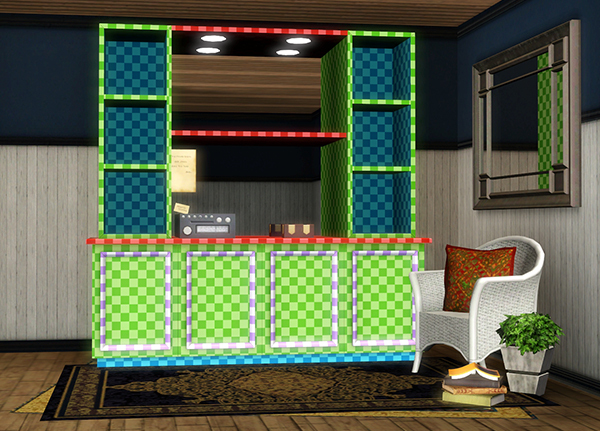 Seven decorative slots have been added. 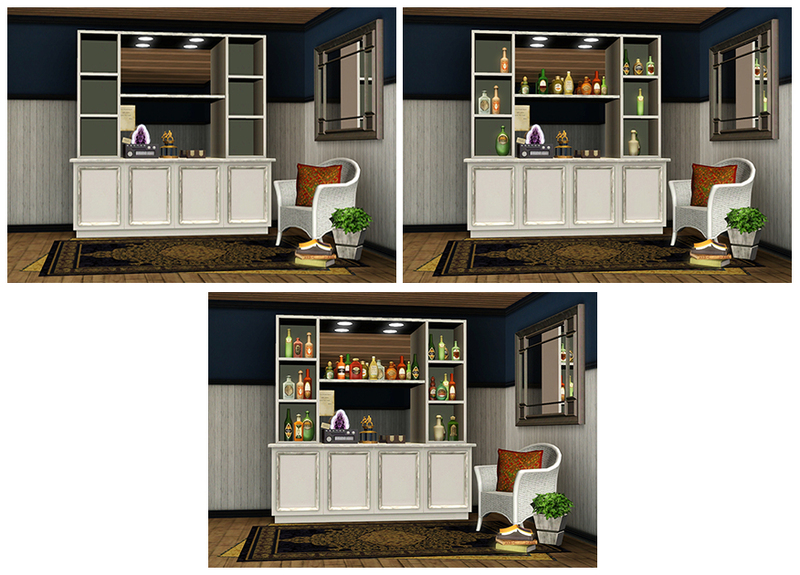 A new colour channel has been added so that the decorative trim on the front panels can be CASted separately. 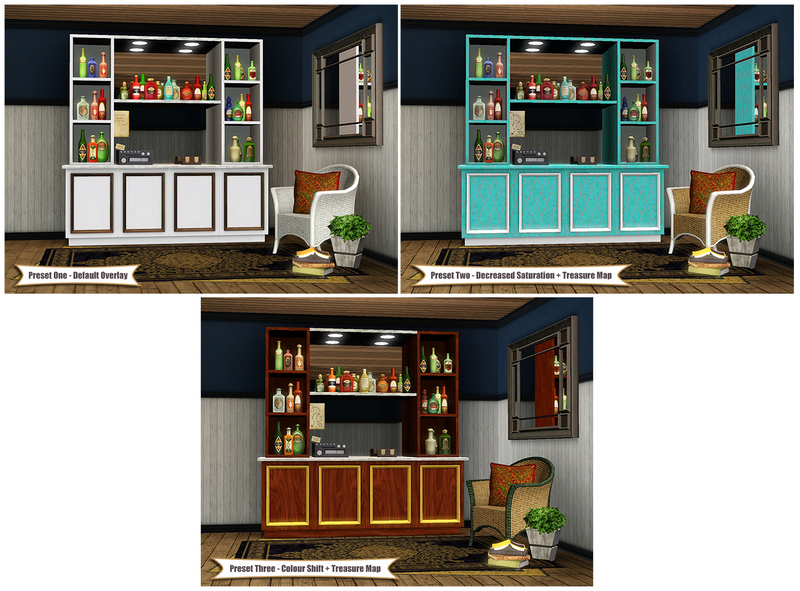 The three default presets have been revamped. 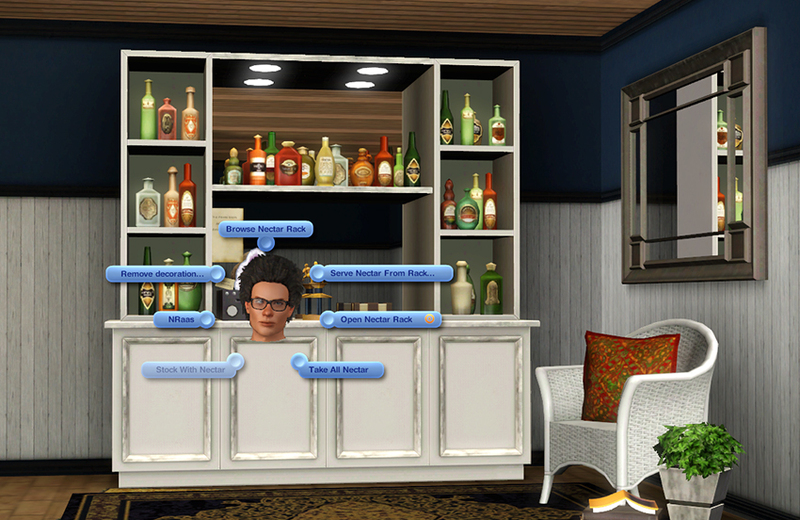 Presets 2 and 3 also feature new overlays for the bottles on the shelves and the paper on the mirror. Sort by Function -> Storage -> Misc. The game allows one nectar rack to be stacked on top of another. 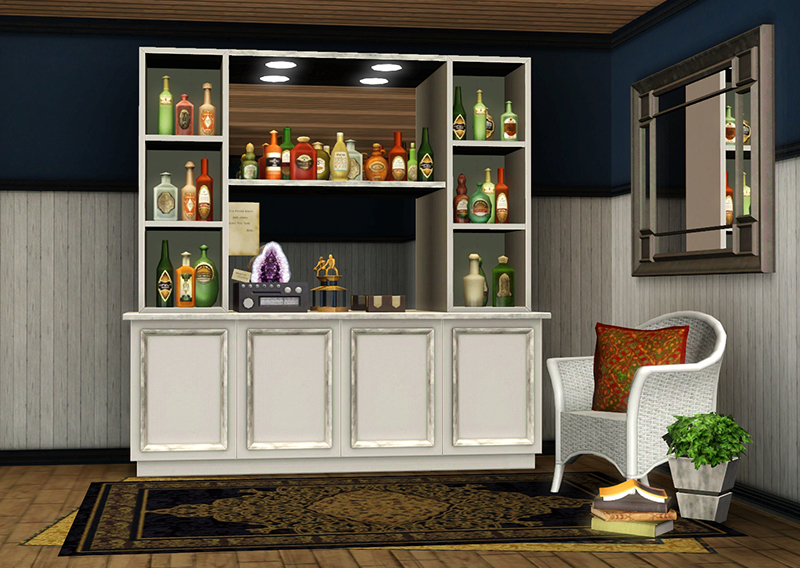 This mod uses the game's nectar rack script, so it is also possible to stack the Top Shelf Nectar Rack, despite its large size. This behaviour cannot be changed without creating a custom class. However, it is a minor issue that is only noticeable if the player deliberately drags the Top Shelf Nectar Rack onto another nectar rack. Do not redistribute or include with lots. Many thanks to @peter9g for his invaluable advice.